Operation Nerd Dungeon is go! 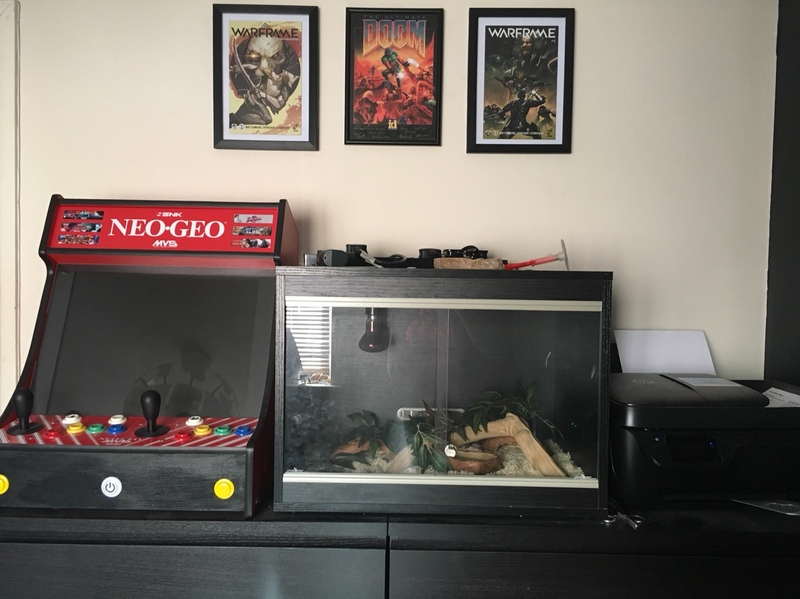 Re: Operation Nerd Dungeon is go! Right thats it... Ime at capacity!! 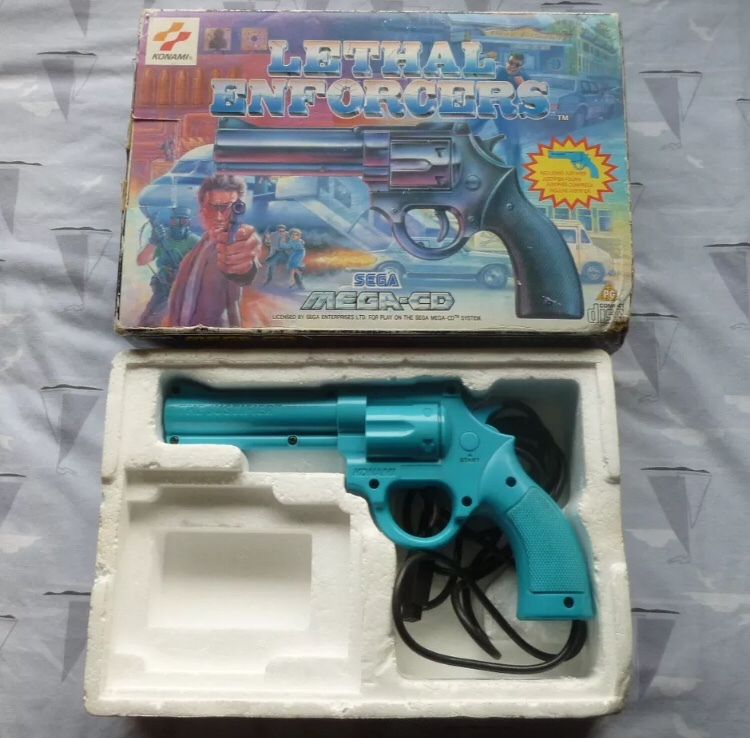 if I paid you for it and shipping n stuff, could you get me a super famicom, and if so, how much? WIll paypal as gift. Bonus points if you can get me a super fire pro wrestling XP cart. On a serious note, I can get Jap Super Famicom’s for about £20 (console only) about £50 for a full set up but god knows how much shipping would be! Had another stroke of luck this morning. 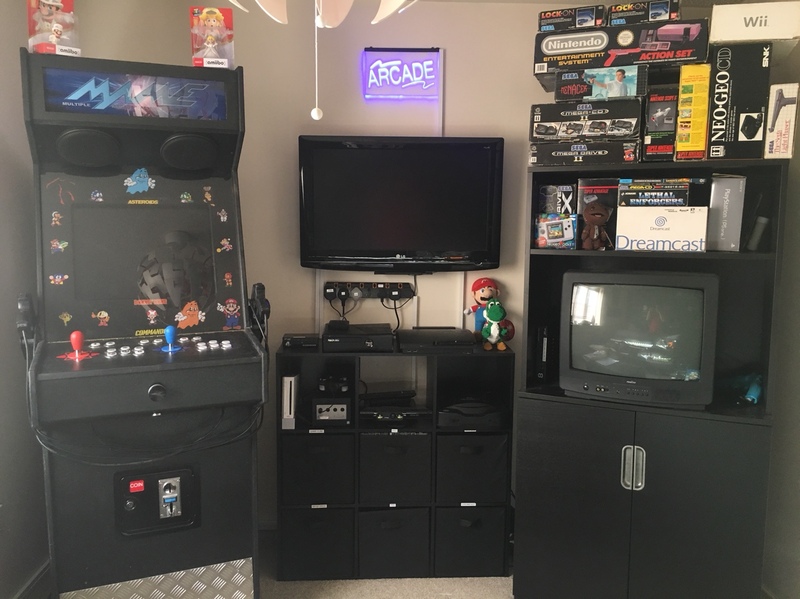 I finally took the plunge and got everything up stairs (mame cab inc) and stuff out of the loft. 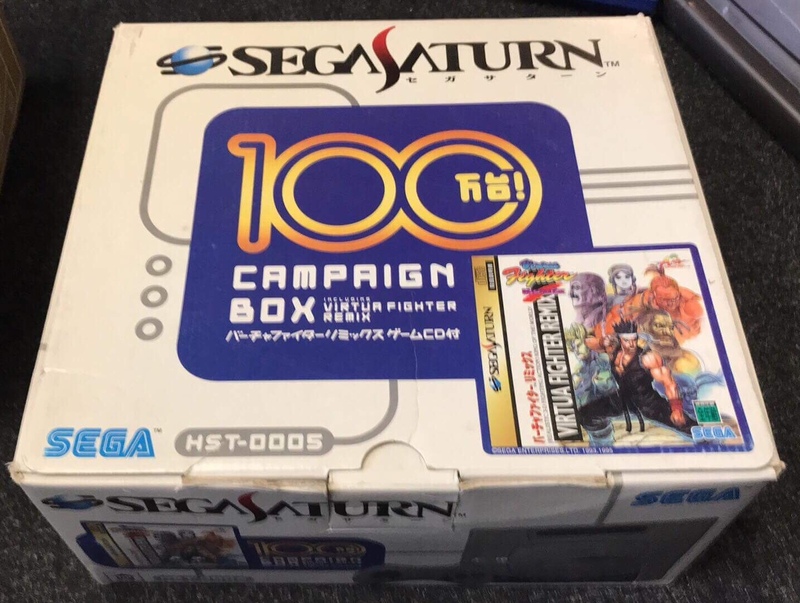 And I picked up a Saturn to round off my collection the other day. 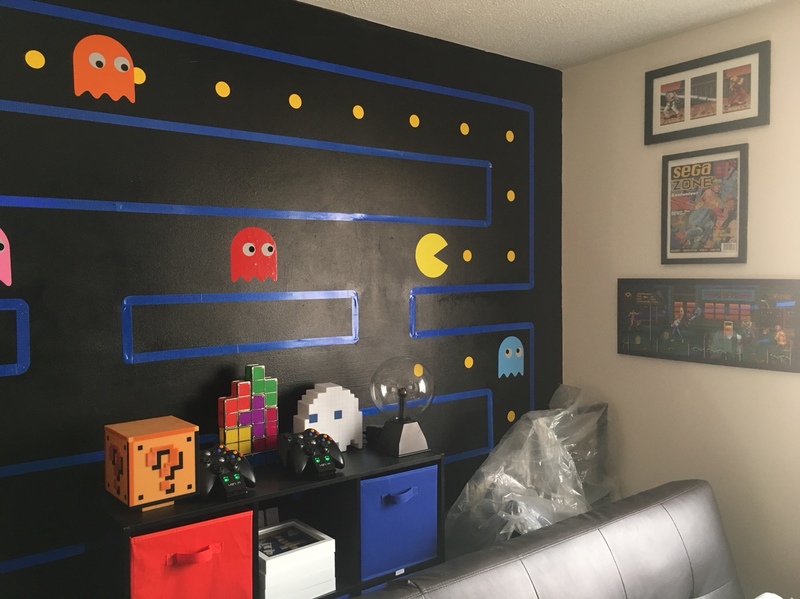 You need a better way to display your consoles and make them playable at a moment's notice. Ditch the IKEA cube. You can't truly know how something works until you've ruined it by taking it apart. Yeah that shelving would be good. 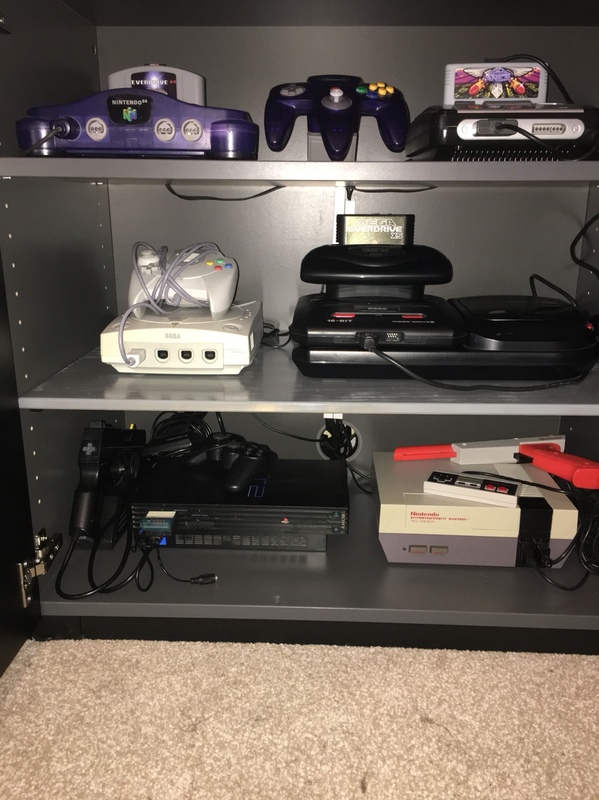 Most of the consoles are in the cupboard under the CRT but they are all connected via 2 switches a 8 & 4 way so I can play any of them at the press of a button. Titch grab me a picture of your light fixture. It looks nice from the reflection in your cabinet. Bro you were just talking about shelving two responses ago. 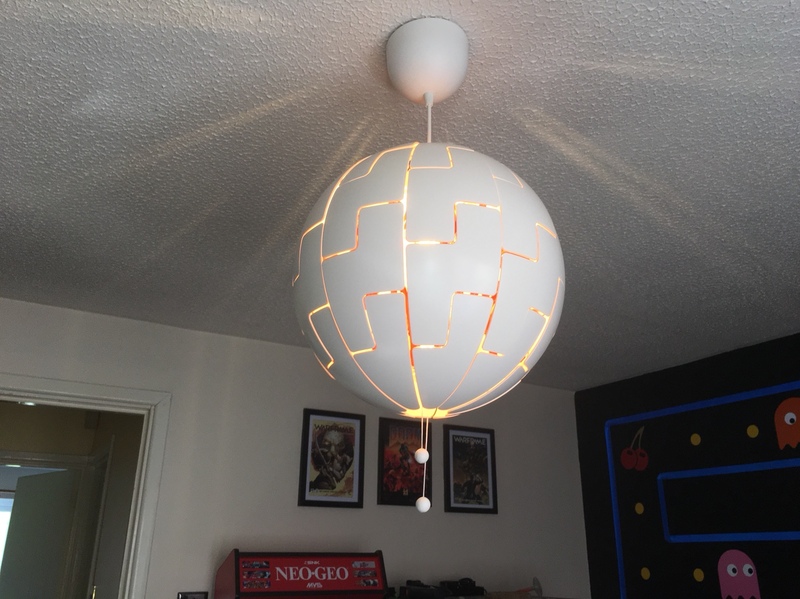 Talking about lights is not random. Thank you for pics. 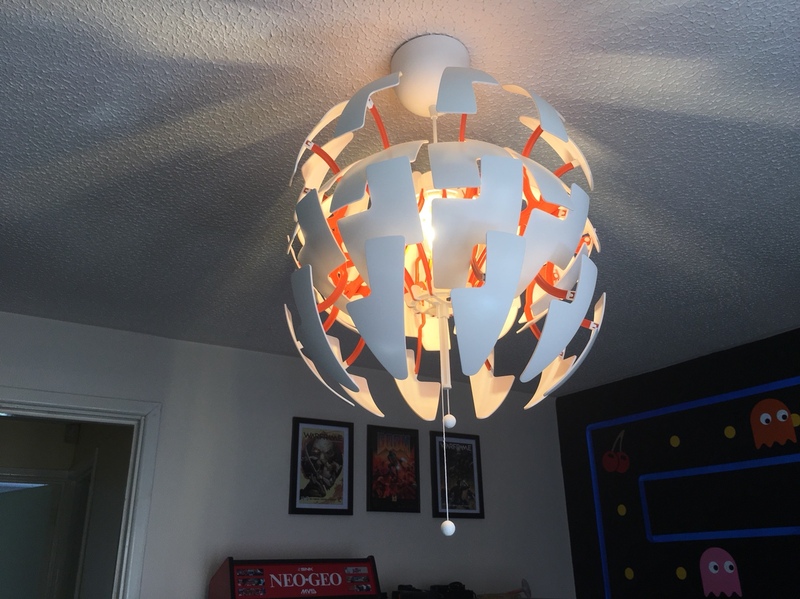 Its actually a pretty cool lamp shade. ---smurfette--- to fit properly though! Shiny new Saturn to add to the collection. I liked the box not seen one like it before.